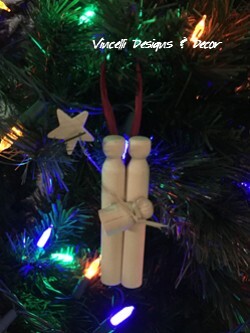 These adorable Christmas Nativity Ornaments are made with wooden clothespins. Wooden star is attached with wire and baby Jesus has raffia as well. Each comes with red raffia attached to hang ornament onto tree or wherever you desire.